Users take control over their personal data in a fast and secure way. Permissions are set in the background. To get their tasks done fast and efficiently. Users speak the language of their organisation. 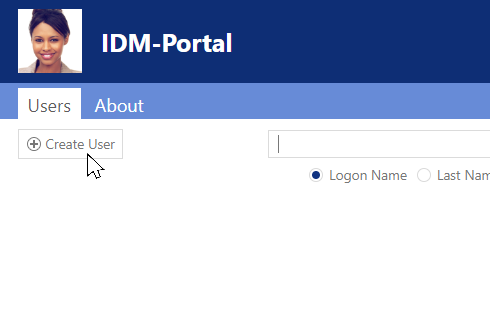 From a simple search for colleagues to the administration of users and access rights, IDM-Portal offers a user-oriented solution. Phone book and Self Service – as elementary as you wish. 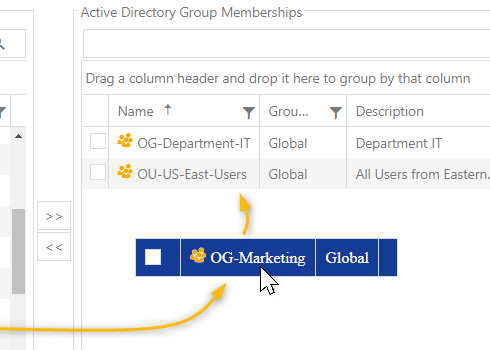 User management – as smart as you need. …or update existing entries. 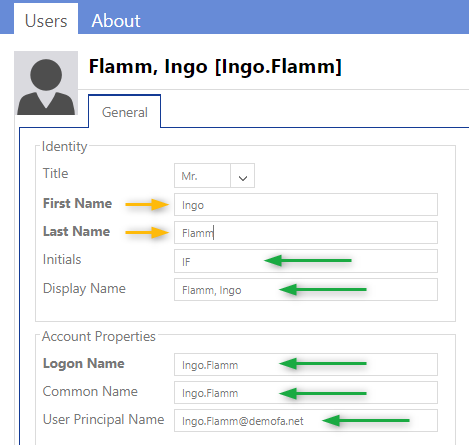 User provisioning and deprovisioning made easy with IDM-Portal. Find out more in User Management. …or check who belongs to a team. 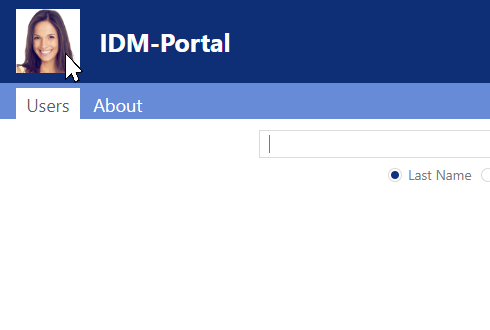 Use IDM-Portal as an intranet phone book. Find out more in Phone Book. …or hand over the group administration to non-IT-staff. 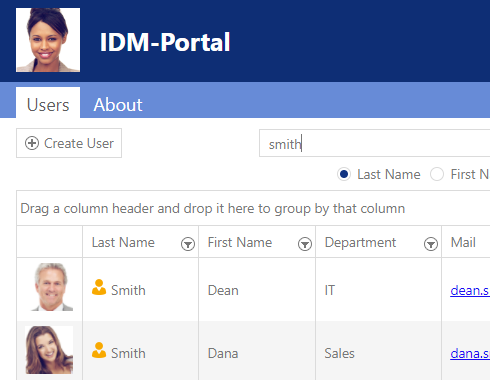 Permission groups, department groups, e-mail distribution lists – all taken care of in IDM-Portal with just a few clicks. Find out more in Access Management. …to non-IT-administrators, such as HR, secretarial staff, assistants or the HelpDesk. Use IDM-Portal to delegate straightforward tasks. Find out more in Delegation. 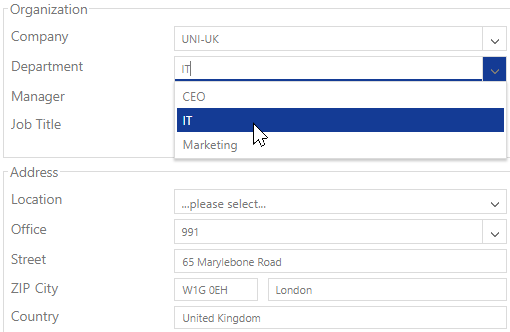 …change phone numbers, upload a profile photo – available for all employees with a Self Service role in IDM-Portal. Find out more in Self Service. …standardise and accelerate processes. Automate operations to save time and money. Find out more in Automation.